It's time to escape, relax unwind and see some beautiful blue water, mangrove islands and rainforest coming down to the Tweed riverbank edge, complimented by the best local fresh seafood and produce on board their boats, here at Tweed Eco Cruises. Their cruises operate under the watchful eye of Mt Warning in Tweed Heads. You can choose to leave the world behind on the heritage rain forest cruise, meandering up the Tweed River, seeing birds of prey, visiting an historical village, hear, see, and feel history. 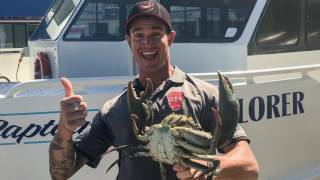 Their Crabs and Yabbies tour you will go overboard! 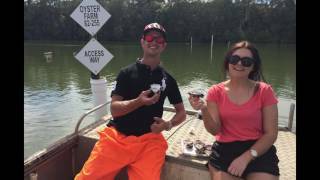 Getting your feet wet exploring the upper mangrove islands hunting the delicacy of the region the famed Tweed River Mud Crab. Caught and cooked up on board their Muddies, while you throw a line overboard waiting for your lunch to go from crab pot to plate! The ultimate exclusive adventure is being offered by Tweed Endeavour Cruises, the Pot to Plate adventure, come out with local crabber, on board his boat, do a tour that no one else can offer. Explore regions of the lakes that no -one see's except the local fisho's, dining on sand banks and in the oyster farm. Join them on the unique four-hour Australian Pot to Plate Adventure. Exclusive to TEC, be briefed on the region's evocative past as Luther and the crabber take you into the heart of mud crab headquarters, the Terranora Lakes mangrove system. Exclusive to just 10 guests per tour, you will retrace the traditional hunting steps of the region's first inhabitants, visit an oyster farm for a tasting session and board a customised runabout in pursuit of the crabber's hidden secrets before the ultimate dining experience - on a sand bank feasting on a sumptuous seafood harvest presented with the freshest Tweed produce! It’s an intimate nature rush where you haul in the crabs pots, pump for yabbies (bait), explore a deserted island and capture a thousand photos. TEC offers a beautiful trip to the historic river Tumbulgum. 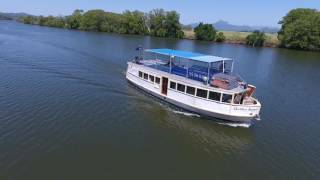 Relax aboard the historic river cruiser the Golden Swan as you embrace surrounds of the resource rich Tweed River, lifeblood of a fertile former known as The Green Cauldron. Under the watchful gaze of the ruggedly imposing Mt Warning you will have endless photo opportunities as you cruise the river. The ultimate Australian interaction with nature where passengers are encouraged to ‘go overboard’ from the 100-person capacity Captain Bill's Explorer. Revel in a hands-on day of entertainment as you pump yabbies, catch mud crabs, feed birds of prey and tempt your luck with the line as you explore the Terranora Lakes mangroves and when you've worked up a hearty appetite in serene surrounds, feast on the region's best mud crabs which go from pot to plate on Captain Bill's back deck. 4.5-hour return trip to the historic riverside village. the soothing surrounds of the resource rich Tweed River, lifeblood of a fertile former volcanic region known as The Green Cauldron. And under the watchful gaze of the ruggedly imposing Mt Warning you will be treated to a sumptuous seafood or Barbecue lunch. Admire the ecological gem called Stotts Island, where they stop and feed the local birds of prey including sea eagles, whistling and brahminy kytes. It is incredible to see these birds at such a close range. Be amazed at the beauty of the islands dense rainforest with over 400 acres of untouched rainforest and 225 different flora and fauna species. A lovely relaxing day out to unwind and to river your worries ashore!